225 yds. 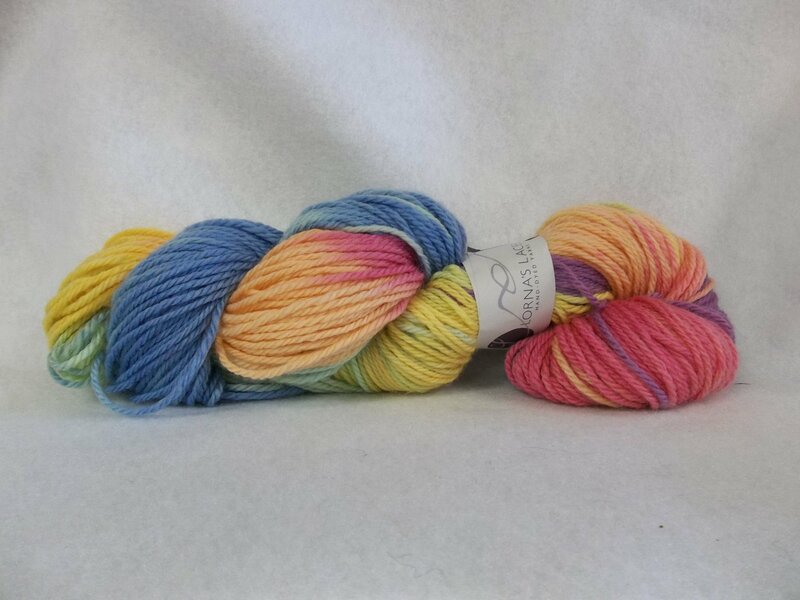 on a 100 gram skein. Machine wash cold, machine dry on low until damp and then lay flat to finish. Knits to 4.5 sts. to an inch on US7.